UPDATE SEPTEMBER 28: Team Illuminati have closed down their repository, taking the relatively new Insomniac Kodi addon down as well. Even the Apocalyptic Builds Repo, used as a temporary backup for some Illuminati addons including Insomniac, has shut down in this round of "anti-piracy" cease and desist letters. Illuminati told their followers about this a few hours before killing the Illuminati repo by pulling it offline. With the Illuminati repo down, there will be no more updates to Insomnia, The Underdog, or any other addon developed and hosted by Illuminati. You will very soon find The Underdog not working. Insomniac Kodi Addon is an IPTV favorite from the developer known as Skeletor and Co. which is housed in the Team Illuminati repository. This addon is particularly popular with those looking to cut the cord, yet would like a more traditional cable TV channels experience. Special Notice: The source URL for Team Illuminati repository addons changes once in a while. It seems the Team Illuminati repo server is killed by high traffic volumes and must be taken offline on occasion. Feel free to try the Illuminati home repo URL, then give the Apocalyptic Builds Repo address a try if it appears empty. We will update this info as news comes in. At this time, the illustrated installation guide takes advantage of the Apocalyptic Builds Repo. 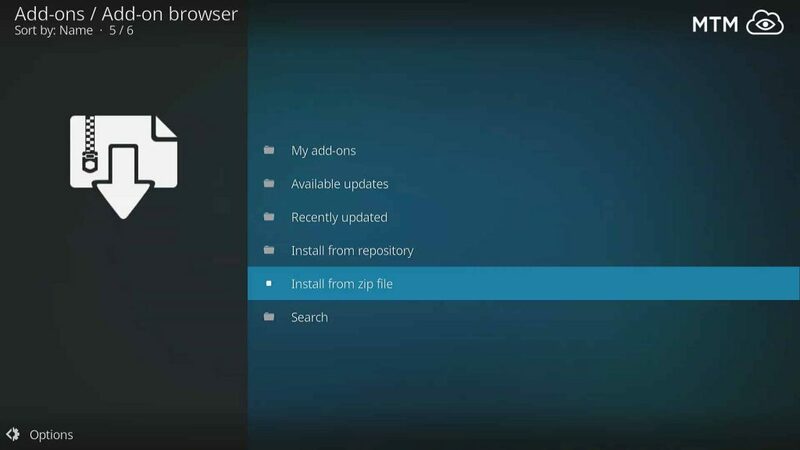 If using Kodi 17 Krypton or newer, you must Enable Unknown Sources before installing any third-party Kodi add-on. See MTM’s Insomniac step by step illustrated installation tutorial guide below for a more detailed description of the installation process and features of the Insomniac Kodi Addon. From Kodi System >> File Manager, click Add Source >> <None>. Type http://repo.theunjudged.xyz/ and click OK.
Name this source unjudged and click OK then OK once more. Click Kodi main menu Add-ons >> Add-ons browser >> Install from zip file. Select unjudged and click repository.illuminati-X.X.X.zip to install the repo. Once the repo installs, click Install from repository >> Illuminati. Click Video add-ons >> Insomniac >> Install. First, make sure to Enable Unknown Sources before installing Insomniac from the Apocalyptic Builds repo. On Kodi’s home screen click the System icon at top left. Next, go into the File Manager in the bottom right. Then go to Add Source on the left. Click where it says None and OK. Very carefully enter this URL: http://apocalypticbuilds.group/repo and then click OK. In the box underneath the URL, name the source apocalyptic, double check for errors and click OK.
Circle back to the Kodi main menu, then click Add-ons. Next, click the Add-on Browser (Package Installer) icon that looks like an open box. Choose, Install from zip file. Select apocalyptic from the popup menu. Wait for the successfully installed confirmation popup. Stay in the Add-ons area and click Install from repository. Then, choose Apocalyptic Builds Repo. Go into Video add-ons then click Insomniac. Lastly, press the Insomniac live IPTV streaming playlist Kodi addon Install button. With Insomniac instant live streams and easy to navigate interface, you’ll save precious time and be able to quickly watch free TV shows and movies. Just choose from a list of nicely organized channels that stream around the clock. Unlike other Kodi addons, Insomniac does not offer on-demand videos. You will not be picking individual movie titles or TV show episodes with this addon. 24/7 TV Shows As the name implies, this category is full of channels providing around the clock streaming TV shows. The number of entries varies, but there are currently 94 channels, each playing different TV shows or cartoons. Clicking on any linked channel will start a live stream of episodes for the title selected. You’ll find anything from “3rd Rock from the Sun”” and “Adult Swim” to “X Files” and “Z Nation” in this comprehensive TV channels listing. Illuminati_XYZ Named after the Twitter username of the Insomniac addon home repo, this section provides a list of specific TV channels. Some of the included channels are ABC, CBS, Discovery Channel, ESPN, Fox News, NBC, Nickelodeon, SyFy, The CW, TLC, and even WWOR-TV. Of course, there are many more streaming channels included in Insomniac. Movies This is currently a list of 19 movie genres and box sets to choose from, though the number of channels varies (has gone up since last we checked). All of these movie channels also provide live-streams. Once more, you pick your preferred channel and streaming begins instantly. With channels such as Action, Animation, Christmas, and even Harry Potter, Star Wars, or Studio Ghibli, you’re sure to find something to watch. You may also just take a chance and encounter something unique and delightful within the Random Movies channel. ISP (Internet Service Providers) are engaged in the monitoring and blocking of Kodi addons. To avoid ISP infringement notices, throttling down of your bandwidth, interruptions to your internet service, and worse, we highly recommend the use of a top-tier VPN (Virtual Private Network). Using a VPN while streaming allows private access to all Kodi addons. IPVanish VPN unblocks all online censorship and other restrictions while hiding your location. My True Media is offering an exclusive 57% discount for a limited time only. Try IPVanish VPN without risk by taking advantage of their 7-day money back guarantee.